Jeff’s help with training has made life with our dog all we imagined it would be. 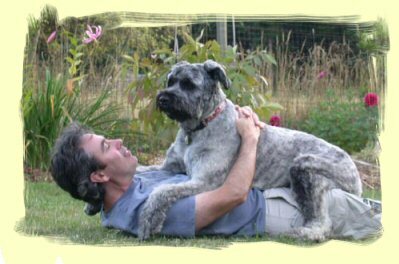 Bouviers are generally strong-willed in character and we knew this when we decided it was the breed for us. We read several puppy and training books before she was even born. We were prepared and we were going to be IN CHARGE. But no one told the dog. We thought we were doing everything right: Makena was 7 weeks old when we brought her home and, using the techniques described in our books, we taught her to ‘sit’ and ‘down’ on the second day. 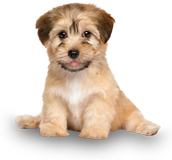 We went to several weeks of puppy class, followed by obedience class, where she excelled – although she proved to be a bit shy; it took the entire 8 weeks of puppy class for her to stop hiding under a table during play time. (It seems the 3-lb Pomeranian puppy was particularly terrifying.) However, she did very well with her commands and we were thrilled when she started to enjoy socializing with the other dogs. This is how we were tricked into letting her off leash outdoors whenever she showed any interest in playing. Turns out those treats we used to train her were of no interest if she didn’t choose to respond to ‘come.’ She was quite amused by our attempts to corral her and thought it was the best game ever. I’m pretty sure she was laughing at us and our expensive salmon treats. While she clearly wasn’t food-motivated, there was also no way she was going to respond to ‘drop-it’ when she laid her teeth on a long dead, crispy rat carcass. 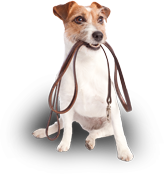 On a similar note, some people like to leave a leash trailing from their dogs because it makes it easier to catch them. Well, it also makes it easier for Makena to catch them. She loves to play tug of war with a good leash. Which is cute and funny until she takes a small, aging dog for a ‘run’ – also a circumstance where ‘drop-it’ only seemed to encourage her to run faster and further away. At this point, I’d like to list a few of Makena’s health issues, all occurring within the first 18 months of her life. I think it might explain why we indulged her for so long before finally calling Jeff for help. – She had her tail re-docked at 3 months of age because it had been done improperly when she was a couple of days old. She had a shard of bone growing out the end of her tail until our vet finally x-rayed it and figured out why she kept chewing on it. We think this is why she was so scared of other dogs at first; her tail always hurt. Coincidentally, her failure to ‘come’ escalated after she had recovered from this surgery. 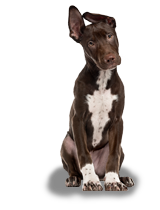 – She has food allergies that cause skin and ear infections. It took us a couple of years to find the right food and remedy this. – She somehow got a bacterial infection at less than a year of age. She spent a week on I.V., part of it at the CanWest critical care hospital, where they told us she most likely had Cancer and would not survive. After exhausting all tests, it turned out to be bacterial and she was cured by two months of anti-biotics and steroids. So, after she had been through all that, we just wanted her to be happy. She was an absolute angel inside the house, but the outdoor obedience problems persisted. 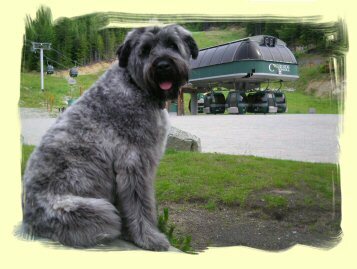 Our luck changed when we met another Bouvier, younger, at Spanish Banks. Amazingly, her owner called her, and she came right over. I think both my husband and I had our mouths hanging open in astonishment. I asked how he made that happen and that’s when we learned about Jeff and Sit Happens. One more incident where Makena chased a small dog right into the street and we picked up the phone and called Jeff. The results were immediate. Not only does Makena respond to every command, she also seems more confident and happy knowing exactly what is expected of her. We get so much enjoyment out of walking our dog and we owe it all to Jeff’s training method. I can’t say enough about the professionalism and caring service we received from Sit Happens. We get comments frequently about what a good dog she is and it’s hard to believe we used to have stand-offs in the park, desperately trying to get her to come home. We are also grateful for Jeff’s advice when Makena injured a knee and needed surgery to correct a luxating patella. We needed to re-crate train her so that she would stay still during her recuperation. After multiple previous hospital stays, she was no longer ‘ok’ with the crate. (We took ear plugs to our wonderful vets and techs at Granville Island Animal Hospital because we knew the crying would be incessant when they locked her in a crate there!) It was much less stressful going through this experience having Jeff’s input – his help made us believe we could get through one more ailment. 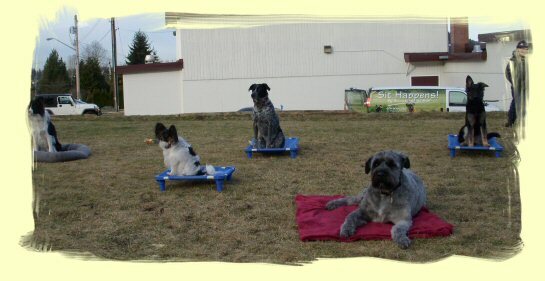 We have also attended the beginner agility class. I’m sure her classmates would find it hard to believe that she ever had an obedience problem because she is rather slow moving. 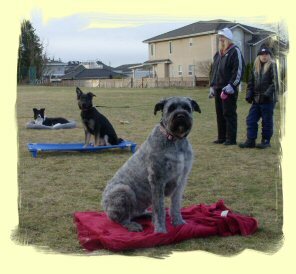 However, she loved it and it’s a testament to how much we love our dog and how much we believe in Sit Happens that we drove an hour both ways from Kitsilano to Port Coquitlam just so that we could attend Jeff’s class.